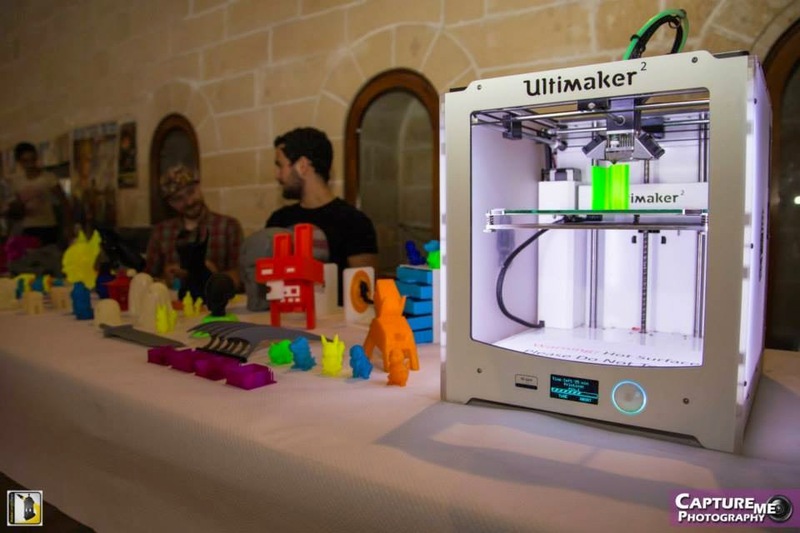 From Cosplay to Cartoonists, Malta 3D Printing’s Blog brings you all the Madness and Mayhem that was the Malta Comic Con 2014! Every fascinating nook and cranny at St.James Cavalier had an alluring exhibition. World-renowned sketch artists and comic book creators like Dave Taylor (Batman, Judge Dredd etc. ), Andrew Wildman (Thundercats, Transformers) and Mike Collins(Spiderman, Doctor Who), amongst others, reached out to their Maltese fans. 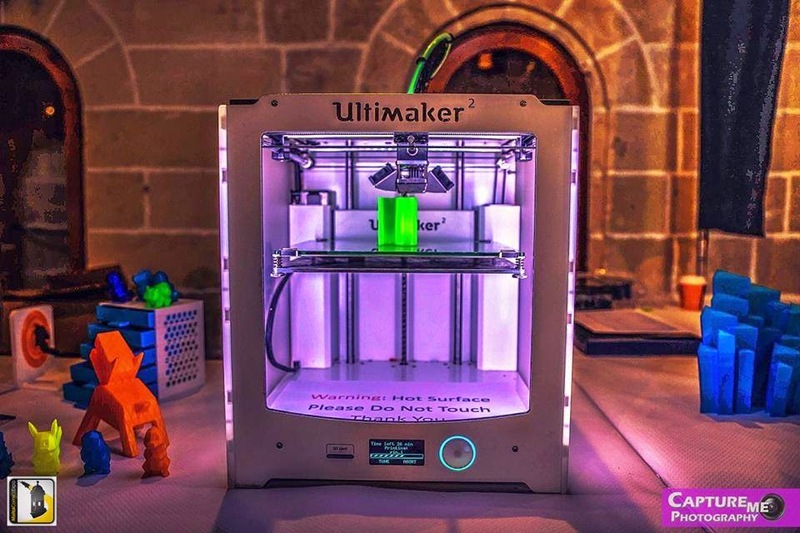 Our pair of ‘Ultimaker 2’ printers and colourful array of products attracted interest from a terrific assortment of people. The three products available to those who chanced their hand at our rafflewere a blue glow-in-the-dark Aztec warrior, a red ‘hell-skull’ and a crowd favourite, the Terminator T-800 skull in grey. For an event of this magnitude,we’re bringing out the big guns. And swords. 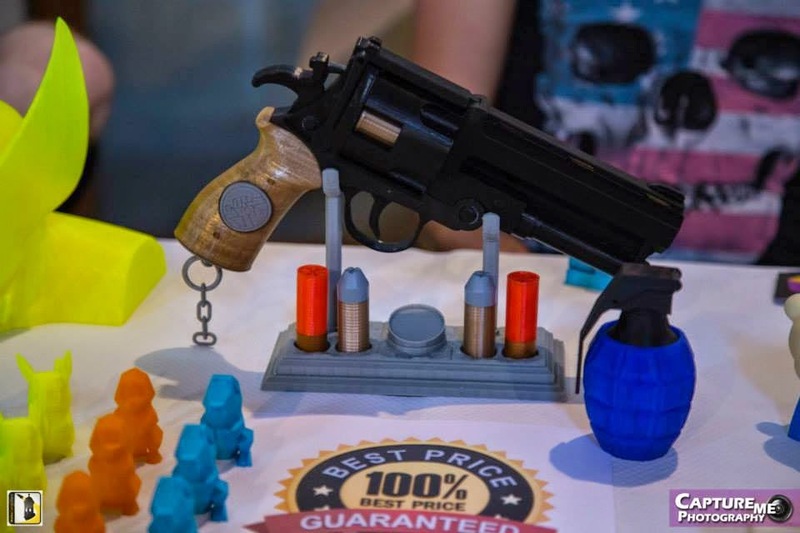 In fact, we’ve got a picturesque Hellboy Gun and a 2-foot long Adventure Time sword to scare off the competition. We’ve got tricks up our sleeves and aces in the hole. A re-imagined army of Pokemon and a life-sized Master Chief helmet(from the Halo series) will be at the front of our stall. Select a 3D model of a character from your favourite series, and within a few hours or less it will be ready.Talk about efficiency!